Who would have thought that a trowel and a screwdriver could be the most important tools for making orecchiette? Or that a hammer would give gnocchi the perfect form? 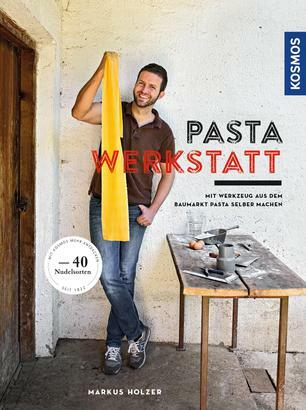 Markus Holzer knows just how you can make 40 different types of pasta from noodle dough using these accessories from the DYI store. He shows in ten detailed "construction instructions" exactly how you can do so: From charcoal tagliolini via herb fazzoletti and on to sweet pasta creations The sauce then provides the finishing touch. Recipes that taste like summer! Raw food means only nibbling on salt and vegetable sticks? No longer!